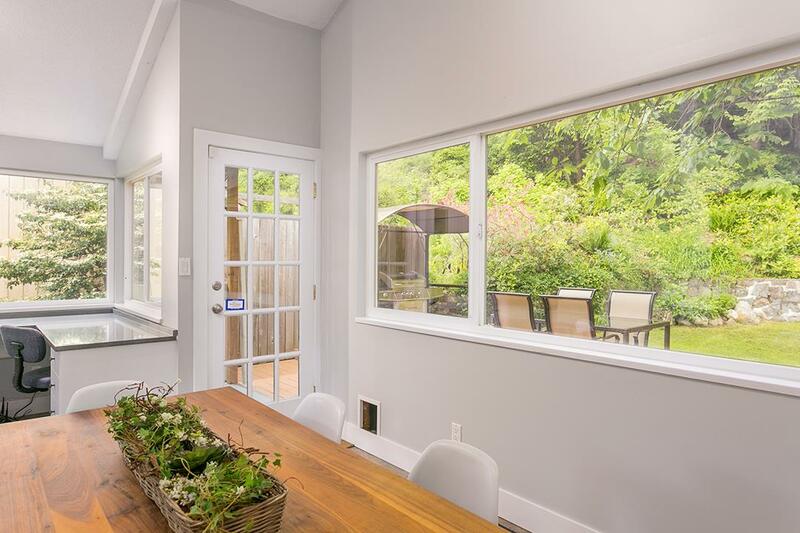 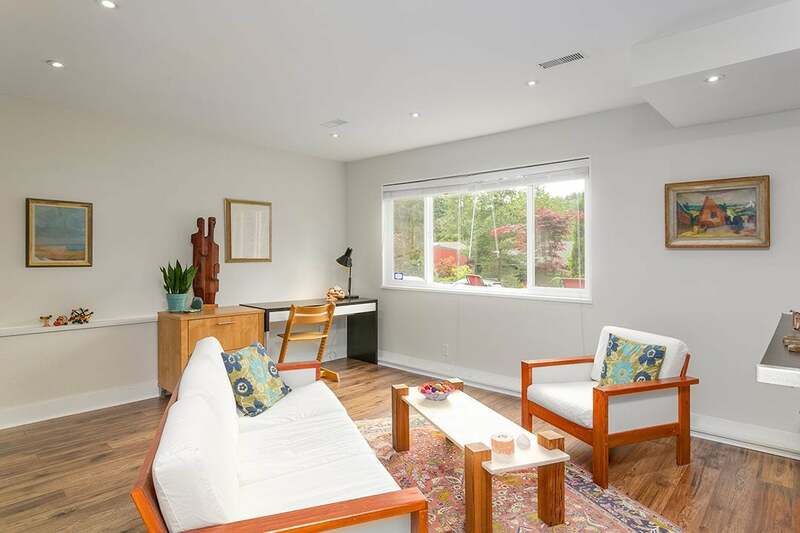 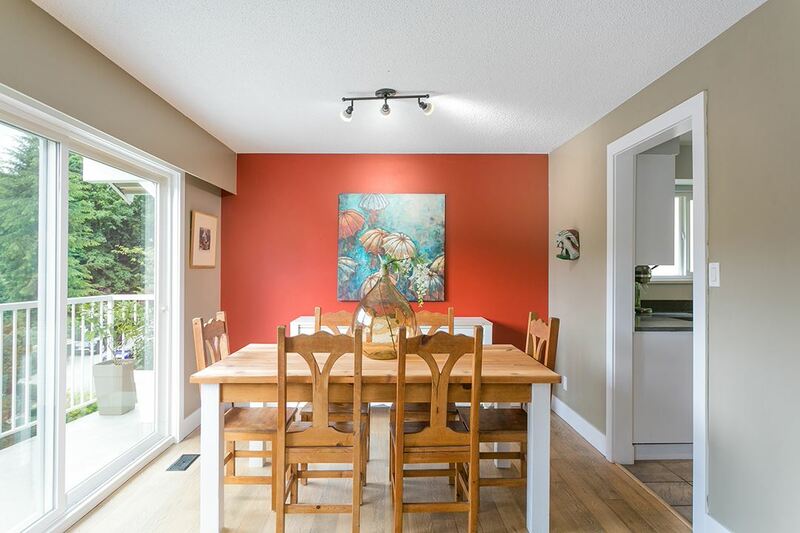 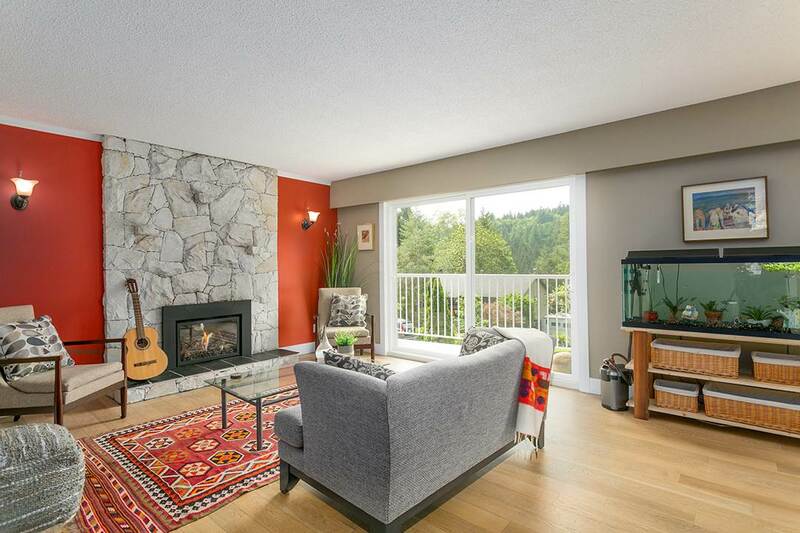 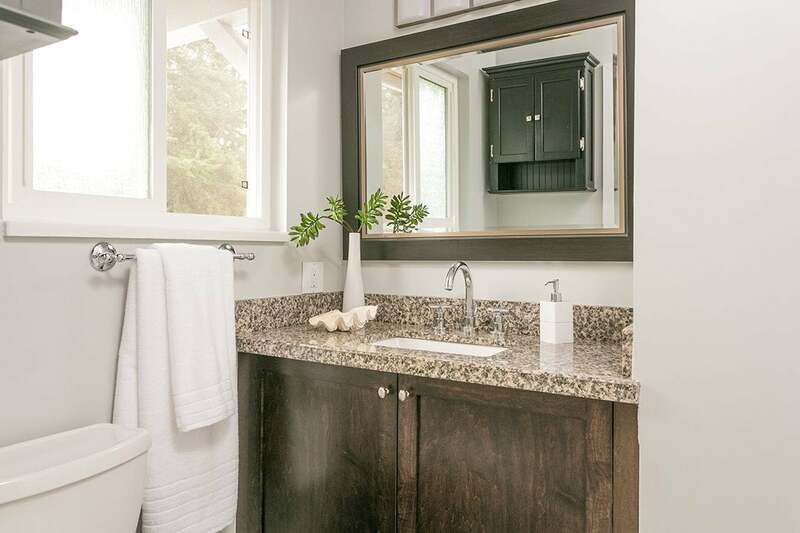 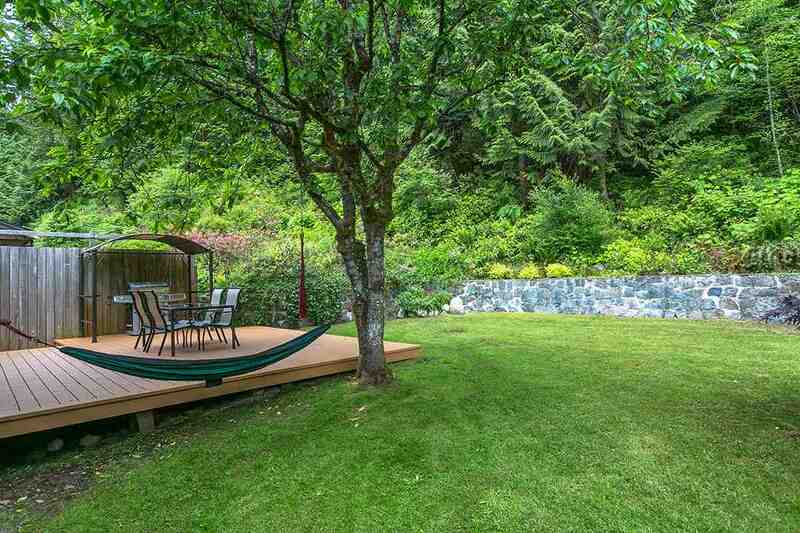 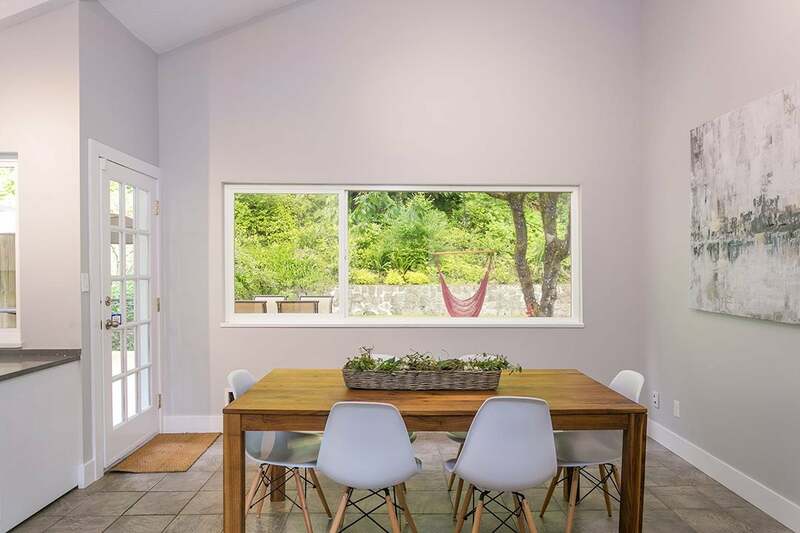 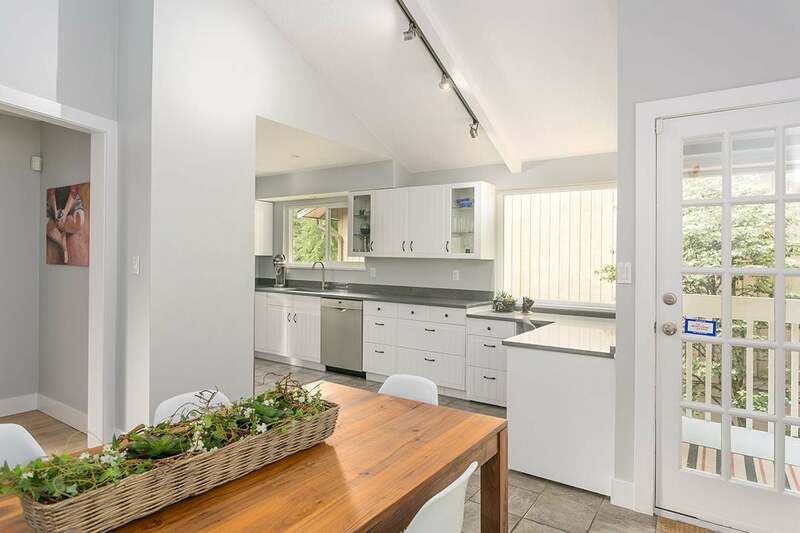 Exquisitely renovated & maintained 4 bedroom family home in one of NVan's best kept secrets! 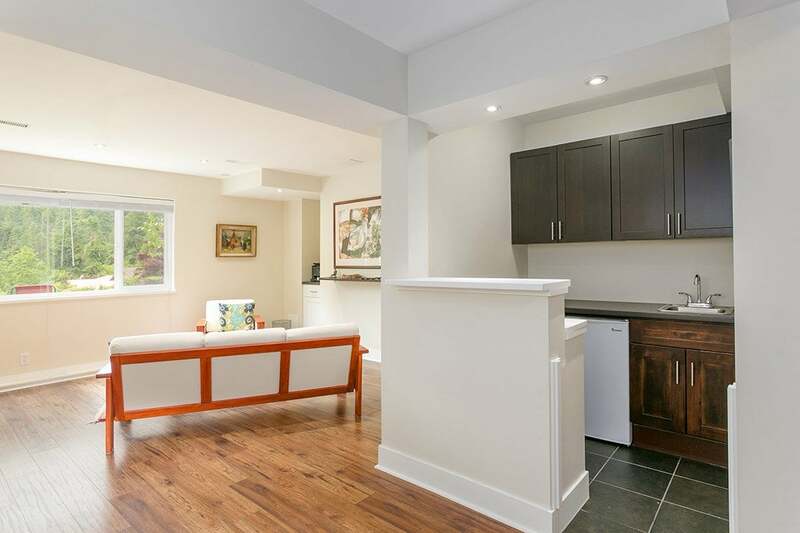 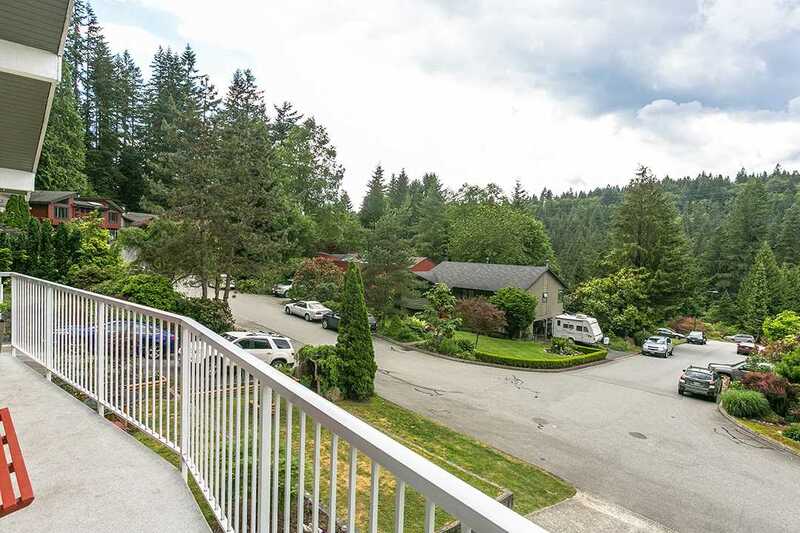 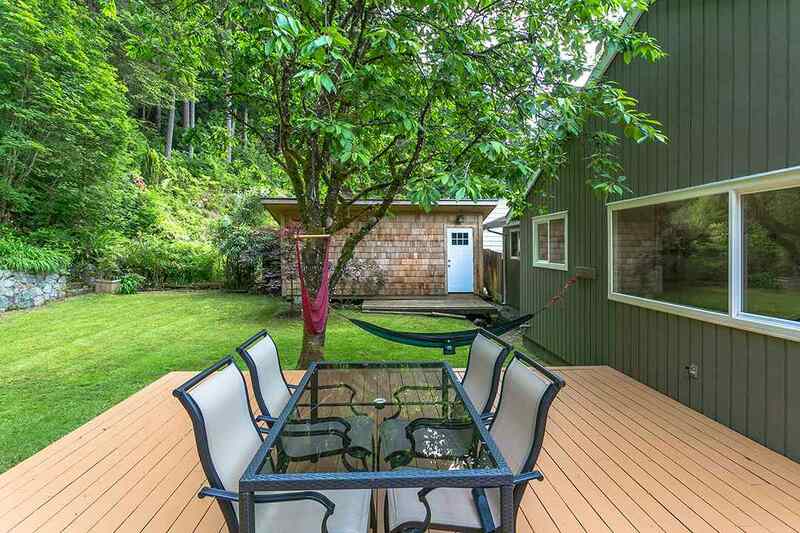 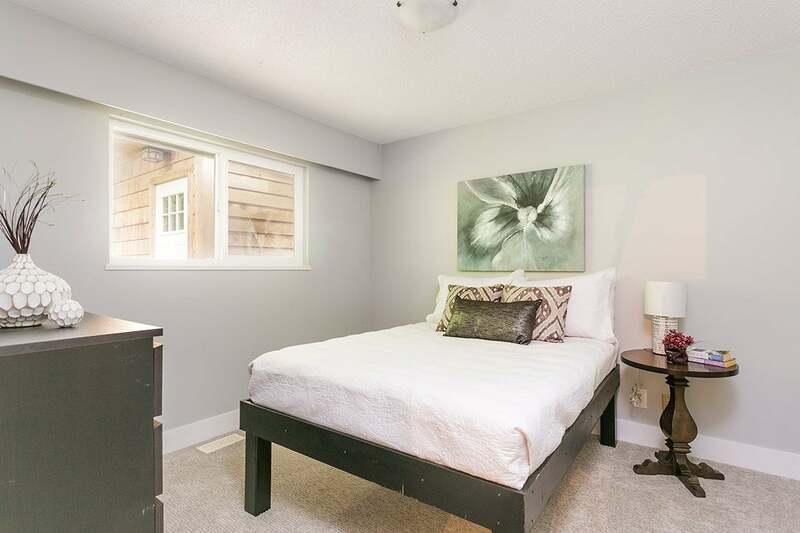 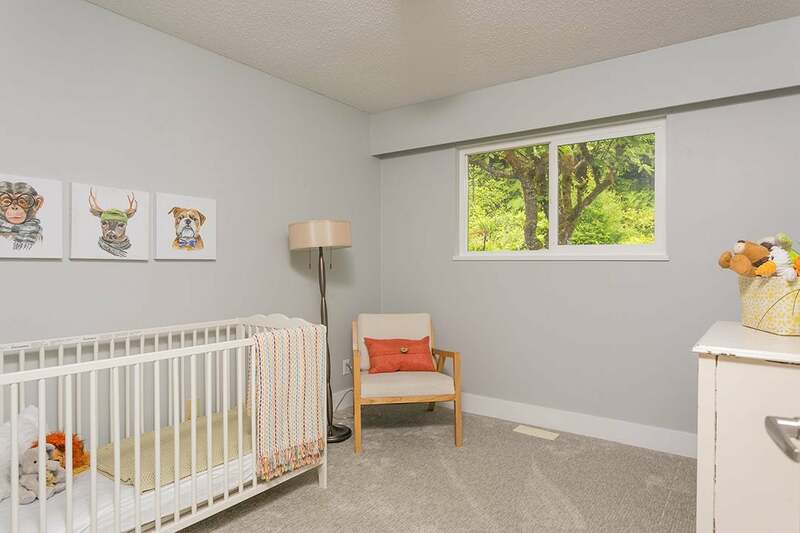 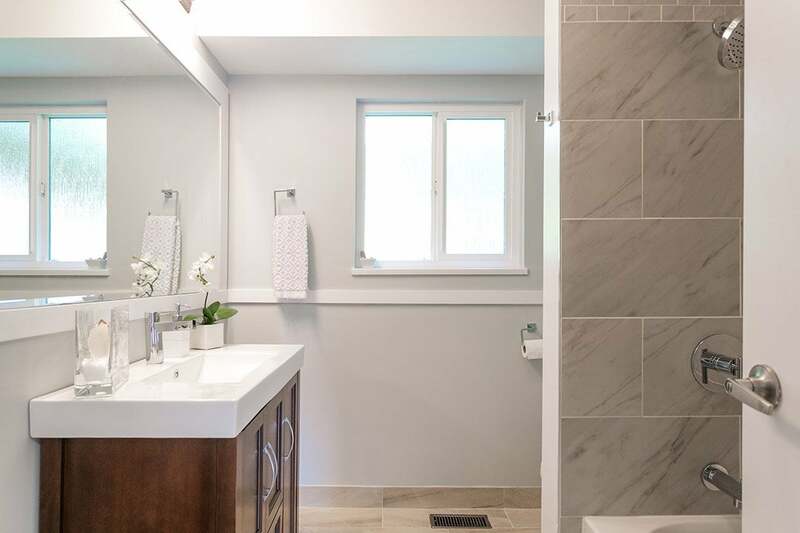 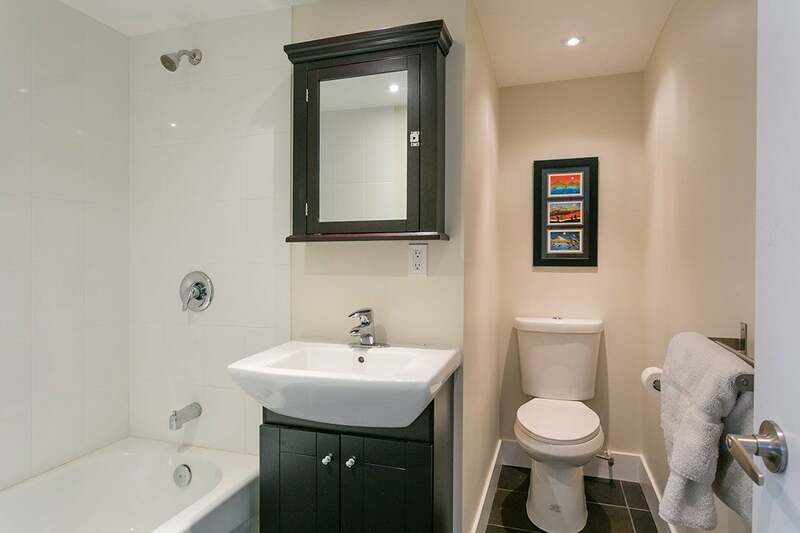 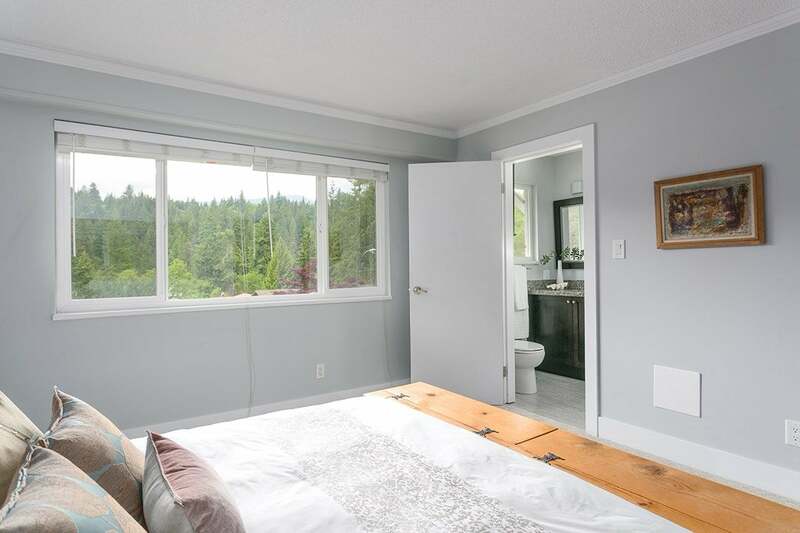 A Versatile layout for the growing family offering 3 bed/2 full bath up, and a studio suite (no cooktop) perfect for in-laws, extended guests or students on the lower level. 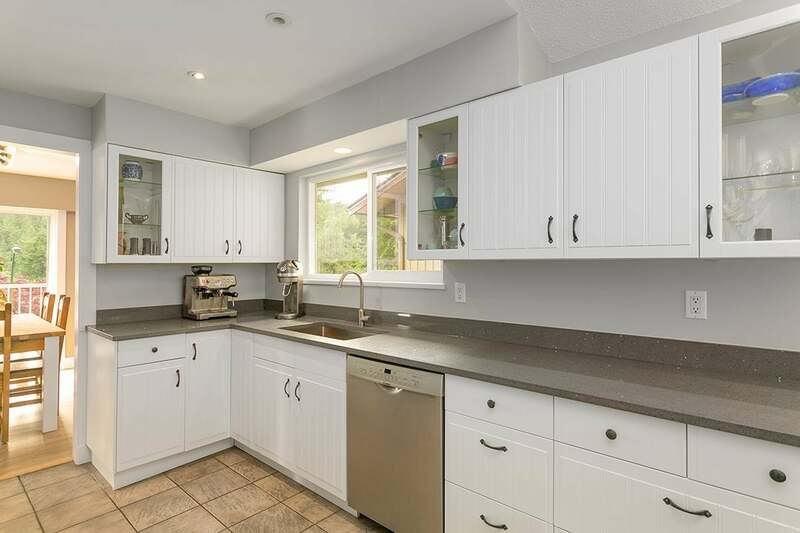 The chef in you will appreciate the gleaming quartz counters & S/S appliances in the kitchen that opens to a formal dining room & causal eating area - complete w/ vaulted ceilings & lrg picture windows overlooking the lush, treed backyard. 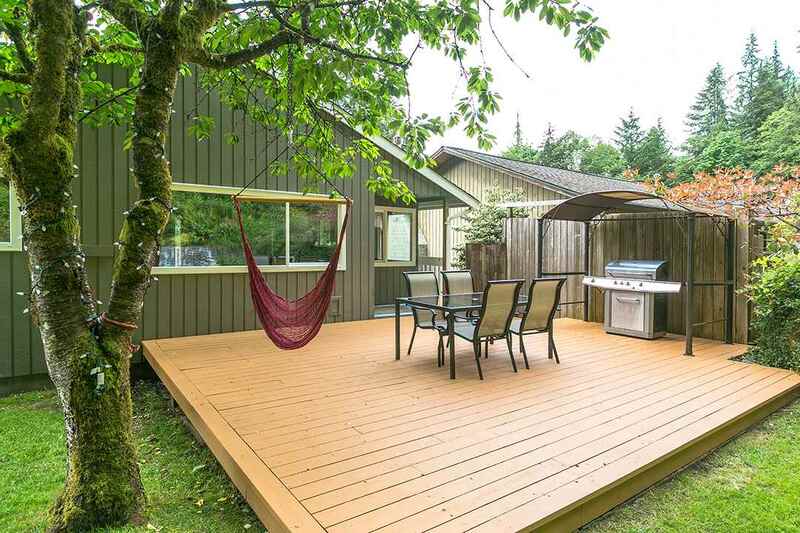 Step out on the entertaining sized deck with a BBQ hut & watch the kids & dogs play on the level yard with a private greenbelt backdrop. 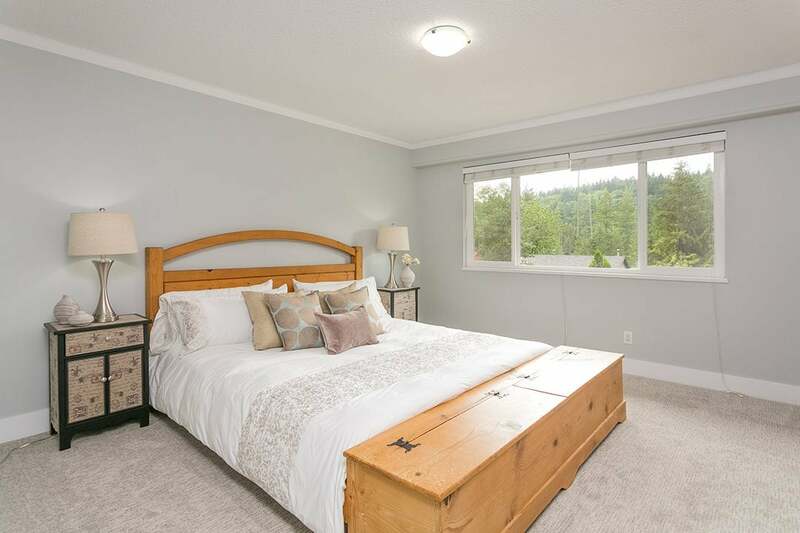 Fresh designer paint INSIDE & OUT, newer windows, new carpet, renovated bath (2017) & 2 car garage complete this desirable package. 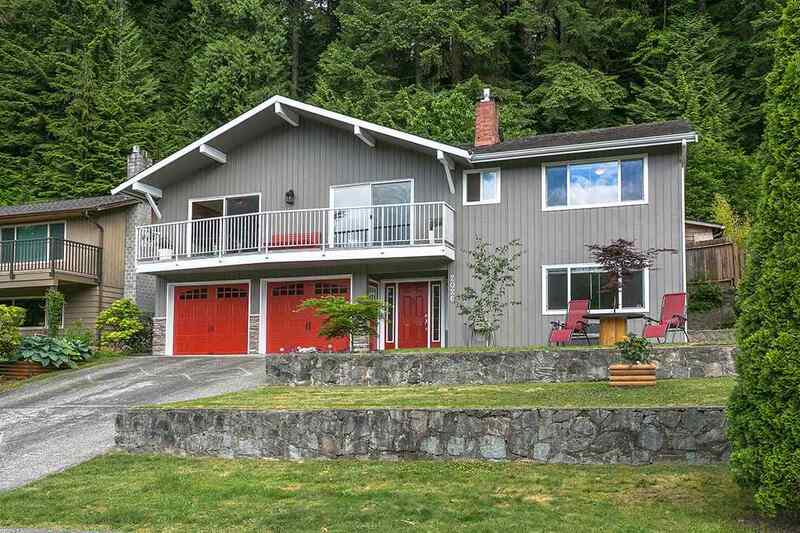 Open Sat 2-4, Sun 1-3.